Our 16 seater executive hire vehicles is the vehicle of choice or corporate groups, executives, high net worth individuals, celebrities, and others who want to travel in style and luxury, and yet do not want to spend too much. 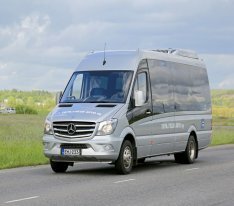 Our Minibus Hire Reading services have a large fleet, comprising of multiple 16-seater executive vehicles, and many other configurations. All our vehicles are top models from popular vehicle manufacturers, such as Mercedes, Volkswagen, and Ford. These vehicles come with the latest gadgets and accessories, designed to make travel a pleasurable experience. Wide, plush, well-upholstered seats, stately linings, powerful air-conditioning, individual LED reading lamps. USB charging ports, the latest music system, and drinks fridge are just some of the accessories available in our 16-seater executive Minibus Hire Reading vehicles. We maintain these vehicles well and ensure all vehicles are always in prime running condition. The 16-seater vehicles are ideally suited for airport transfers, attending concerts, weddings, or other functions, attending conferences, seminars, and business meetings, and for a host of other purposes. We offer the best rates in town and combined with modern coaches, the impeccable service from our dedicated customer support agents, and the skilled drivers who come with the coaches, we offer unbeatable value. We offer highly reliable services, with the vehicles arriving at your doorsteps within 30 minutes of making a booking.